Evolutionary geologists have long believed that the Grand Canyon formed by the Colorado River carving it over millions of years—an idea which goes against what the Bible says about the age of the Earth. This idea is based mainly on the theory of uniformitarianism (YOU-nuh-form-i-TARE-ee-an-ism): the belief that what we see happening today in the Grand Canyon (or elsewhere on the Earth) is the same as it has always been. When geologists look at the Grand Canyon today and see only the Colorado River slowly cutting it, they assume it must have always been that way. If it has always been carving like it does today, then they can use the rate that it’s carving today to figure out how long it would take to carve the whole Canyon: millions of years. There are several problems with that idea. First, evolutionary geologists cannot even agree with each other on what they think the age of the Grand Canyon is. Some say 40 million years; others 5-6 million years; some 70 million years; and some even argue that it was formed quickly due to major flooding from the Colorado River—an idea closer to what creationists believe. The fact that their beliefs are so widely different from one another highlights the fact that no evolutionist really knows how old the Canyon is. Evolution’s dating methods have failed to prove that the Grand Canyon is as old as they think it is. Second, while creationists do believe that uniformitarianism can play a role in geology today, we also believe that catastrophism (kuh-TAS-troh-fism) plays an even more important role—the idea that unusual, short-lived, major geological events sometimes happen which change the Earth in major ways (for example, floods, tsunamis, meteors, and volcanoes). The Global Flood of Noah’s day, in which “all the fountains of the great deep were broken up” (Genesis 7:11; which would have included lava flowing onto the surface of the Earth), “all the high hills under the whole heaven were covered,” and “the mountains were covered” (Genesis 7:19-20), would have certainly played a major role in forming the Earth’s geologic features, like the Grand Canyon. In fact, we have modern examples proving how catastrophic events (like floods and volcanoes) can quickly carve canyons. In 1926, the Burlingame Canyon near Walla Walla, Washington was carved in less than six days when engineers tried to steer abnormally high water from a canal into Pine Creek. 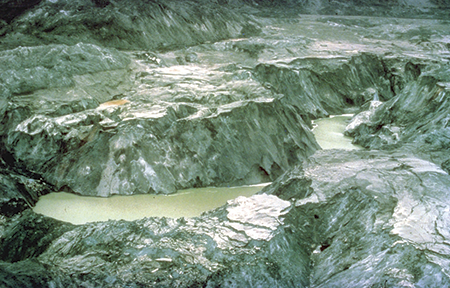 In 1982, a small eruption of the Mount St. Helens volcano caused a major mudflow that was 20 miles long. 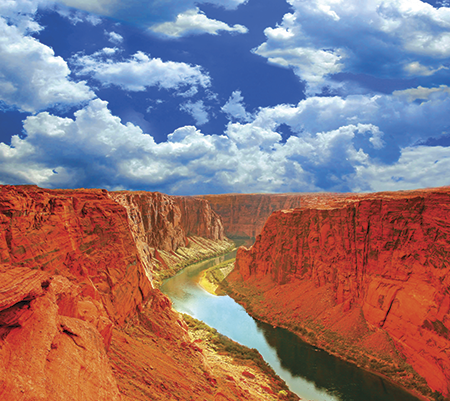 It carved a canyon—the “Little Grand Canyon”—that was 140 feet deep in only one day! These two examples prove that the Grand Canyon could have been formed quickly due to a catastrophic event, rather than over millions of years. Burlingame Canyon "Little Grand Canyon"
Polystrate fossils are also a problem for those who believe in uniformitarianism. When you look at the Grand Canyon, you can see different layers of rock lying on top of each other, kind of like layers in a cake or a double cheeseburger. 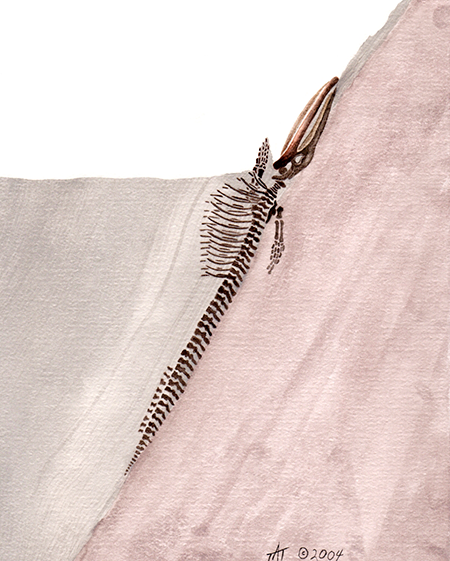 Polystrate fossils are fossils that are found cutting through more than one layer (strata) in the geologic “cake” (column). Trees, Calamites, catfish, and even a baleen whale have been found in various places in the world, cutting through multiple strata. 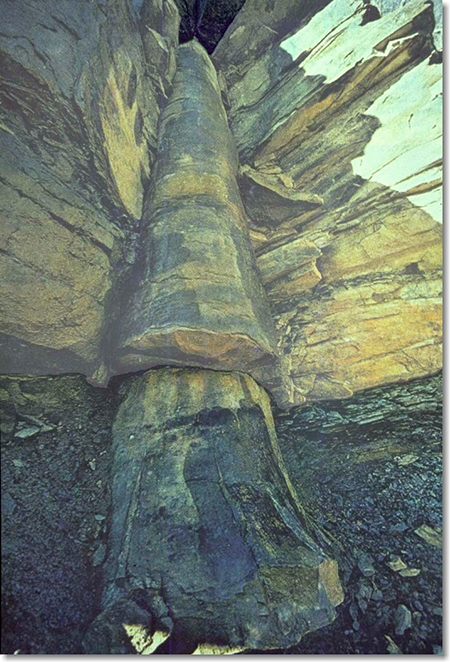 How could a tree (or a whale) survive or not decay for the “millions of years” it would have taken for it to be buried, if each of the strata took eons to form? It makes more sense to believe that the layers in the geologic column, including the layers of the Grand Canyon, were formed quickly, not over millions of years. Evidence exists today which proves that belief to be true. Strict uniformitarianism simply is not supported by the evidence. If geologists assume uniformitarianism formed the features of the Earth, when catastrophism actually played a major part, geologists will certainly get wrong answers when they try to find the age of something. That’s why their estimates differ so much with each other. Whether finding an age by counting thousands of rings in a tree, thousands of layers of ice in an ice core, looking at the different elements in a rock to find its age, counting the layers at Grand Canyon, or watching the Colorado River carve it, if uniformitarianism is assumed, a scientist will get the wrong answer for his dates. Bottom line: the Bible’s story of the Flood fits perfectly with the evidence at the Grand Canyon.